Anna Witham makes ramen that expresses the ingredients being grown and raised around her in Oregon’s High Desert. 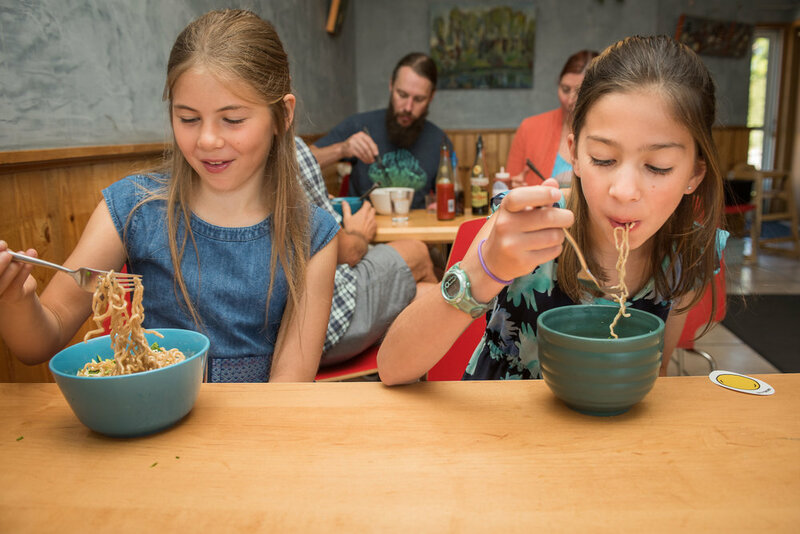 Her restaurant, 123 Ramen, has an ever-evolving menu of Umi noodles, broth, meats, mushrooms and veggies that taste delicious and make you feel strong and nourished. Here’s a look inside the restaurant hidden in an industrial park in Bend and into the spirit of its owner. As we look back at 2017, our first full year in business, we are grateful for the collaborative spirit we've encountered, over and over again. Explore our 2017 highlights, including the nonprofits we've supported and the events we've organized.